Most people who have flown with dogs will probably admit that it added some additional stress to the experience, but that it’s worth it for them to have their beloved companion along for the journey. 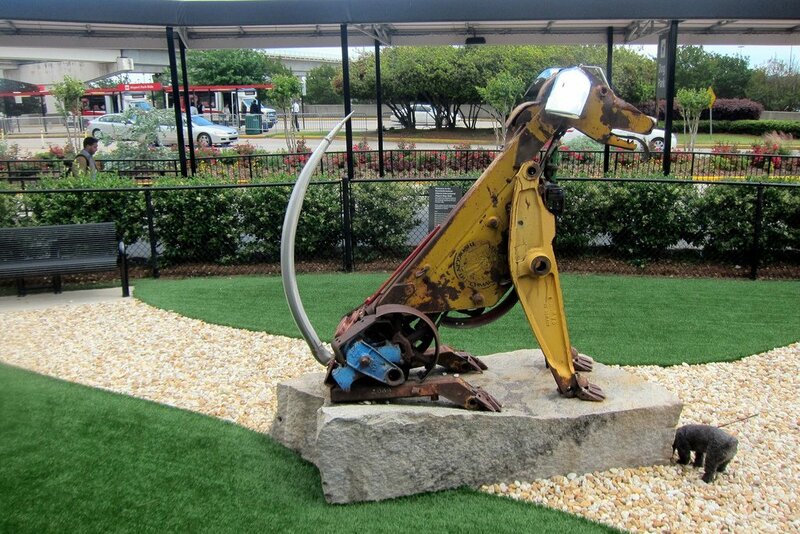 Some airports, including the following, are trying to make the experience more convenient and relaxing for canines and humans alike, with the introduction of innovative amenities and customized pet services. The biggest airport in the Big Apple doesn’t pull any punches when it comes to pet amenities. They say you can get anything you want in New York at any time, so why should it be any different for sky-bound dogs? One of the biggest hassles for travelers with dogs is having to go back outside of the security checkpoint in order to find a pet relief area, which is why JFK installed a pet bathroom inside Terminal 4. It’s located right next to the human bathrooms, so the whole family can quickly make a pit stop before heading to the gate for boarding. 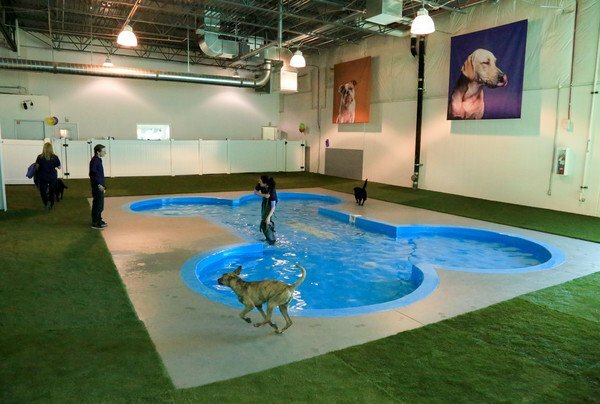 JFK is also home to The ARK, a state-of-the-art terminal exclusively for animals. 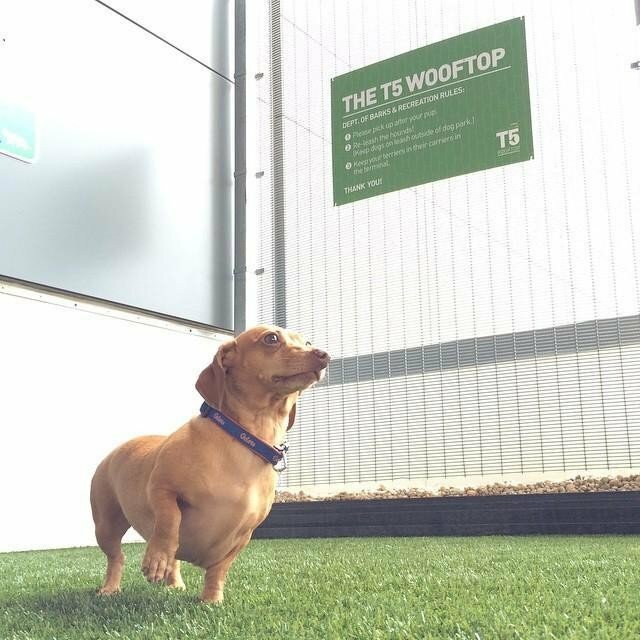 It offers a full range of unique services for pets, including boarding facilities and veterinary care. The world’s busiest airport sees plenty of canine passengers come through its halls every day, so you’d expect them to be prepared with the proper facilities to accommodate them. You’ll probably have to fly to Atlanta at some point, and when you do your dog will be able to enjoy the approximately 1,000 square foot fenced-in dog park located near ground transportation. Hartsfield-Jackson also recently completed the addition of pet relief areas inside each concourse. Coloradans love spending time outdoors with their dogs, and that lifestyle is reflected in the pet amenities offered at Denver International Airport. 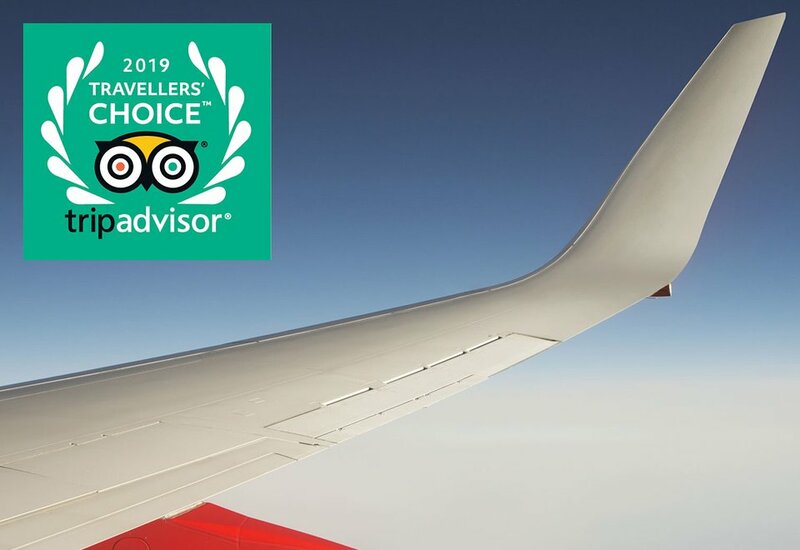 DIA features convenient pet relief areas located throughout the concourses, so connecting passengers don’t have to re-enter a TSA checkpoint in order to give their dog a bathroom break. 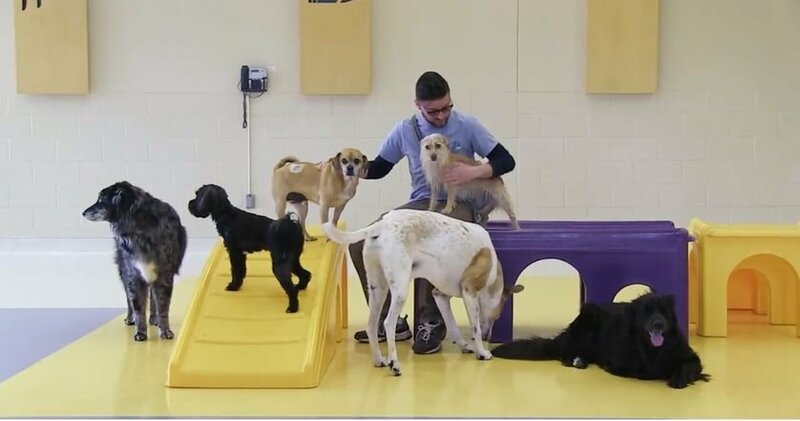 But where Denver truly shines is with Paradise 4 Paws, a massive boarding facility that offers webcam access so pet owners can check up on their best friends while traveling. Lets face it; boarding a dog at the airport is usually fraught with inconvenience. But the boarding facility at MSP is trying to make the process better for both humans and pooches. They have a complimentary shuttle service that will take you to and from either terminal, 24 hours a day. MSP was also one of the earliest adopters of in-terminal pet relief areas, and continues to be a leader in this area today. It may not receive nearly as much passenger traffic as the other airports mentioned here, but Reno-Tahoe International really delivers when it comes to pet amenities. All you have to do is follow the paw prints on the sidewalk to reach one of their two outstanding Bark Parks, which are completely fenced in. 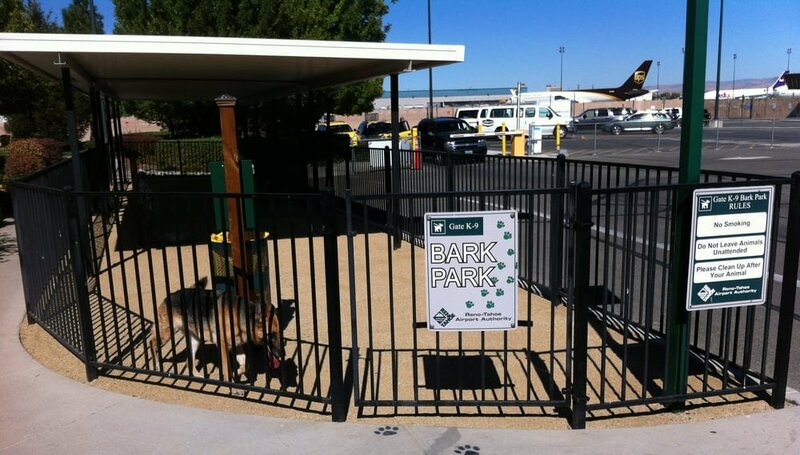 They’re even wheelchair accessible so that handicapped passengers can take their service dogs there.Each Bark Park also offers the pets and owners some sweet relief from the scorching Reno summer sun, with extensive canopies covering them.